Kariella Clothing Boutique offers boho style clothing, jewelry, accessories and designer swimwear for women from a variety of unique brands. These are clothes you’re sure to fall in love with by Free People, Faithfull the Brand, and more. From the unique and beautiful dresses by Free People, BB Dakota, Dippin Daisy and Love Stitch, there’s sure to be something for every stylish gal. 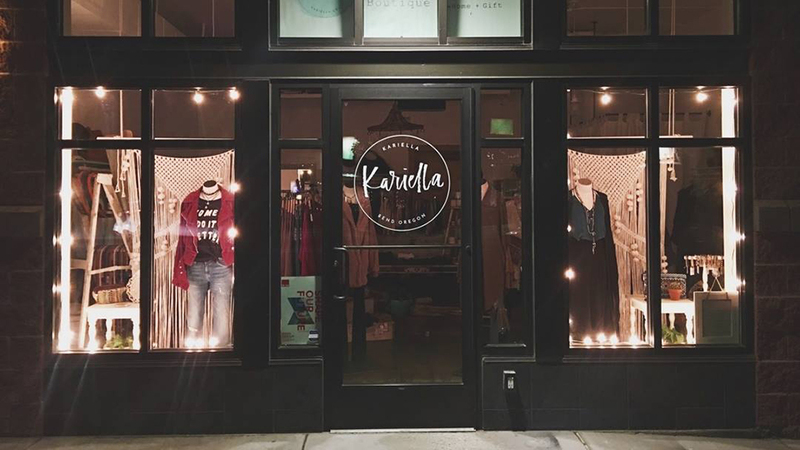 Located in Bend’s NW Crossing neighborhood, Kariella also offers a curated selection of jewelry, accessories and a friendly and helpful staff of knowledgeable stylists. They scour the market for unique designers, quality fabrics and sensible price points. Their style could easily be described as modern bohemian and they strongly believe you can create a beautiful outfit without the burden of a giant price tag. Kariella mixes fun, eclectic styles with great basics so you are never left with a half-built outfit.This dreamy little women’s boutique invites you to embrace their sense of style and join them on a journey of discovering the unique art that is fashion!